Culture or tools: Which comes first in a successful lean implementation? This question keeps coming up—and while we want to develop our organizations in both areas—is there one area that we should focus our energies on first in our lean journey? So many practitioners start their journey with the tools of lean: 5S, value stream mapping, SMED. Their goal is to achieve a small success somewhere in the organization and show that as a model in hopes that everyone will want to achieve the success of that first pilot group. I am not completely sold that is the fastest and most self-sustaining model. Let me share a couple of recent facility tours that helped me to see that differently. One of the panelists shared that if an associate is unable to meet the performance goals of the position, they will shift that person to another area and retrain them until they find an area that is a good fit with the employee’s skills. He was asked about turnover in the plant and he said that he could only recall maybe 8 people over the last several years that had been terminated from the company and noted that all were for behavior issues – not job performance related. In his book, Bob shares that during the recession they did not eliminate jobs, but all the employees worked together by cutting back their hours to keep everyone employed. After hearing this, it struck me that the company had taken fear off the table in their environment and employees were free to focus on their jobs. How much fear is resident in our companies? It could be related to a dozen factors, but it is there to some degree in every organization. And fear leads to a form of waste that is hard to quantify but is certainly a real and substantial drain on productivity. It doesn’t mean that the Barry-Wehmiller team doesn’t have its share of challenges, but they clearly tackle those challenges as a team without fear. And once fear is removed, the engagement level rises dramatically, and I believe that prepares an organization to implement the tools of continuous improvement quickly, smoothly and without drama. I also believe that with that level of engagement, lean is much more sustainable over the long term. In August, I had the opportunity to visit Cambridge Engineering in Chesterfield, MO. Marc Braun (who was also on the tour with us at Barry-Wehmiller) is the president, and jointly with the owner, John Kramer, has worked hard over the last three years to implement an engaging and people-centered culture. With that culture in place, they are now implementing the fundamentals of lean by introducing one-piece flow. The Cambridge team has a daily huddle of all employees that is one of the most dynamic and engaging meetings I have witnessed. Cambridge offers outsiders the opportunity to attend their huddles to see for themselves on Tuesdays each week. I happened to be part of a lean tour that is done less frequently and includes a half day of activities where organizational leaders share the Cambridge approach and philosophies. I was also able to attend the daily huddle and take a tour of the facility and was encouraged to talk to any employee that I encountered. My biggest takeaway was that one element kept presenting itself to me as the day went on—especially as I interacted with more and more employees—and that is a pervasive feeling of joy everywhere. 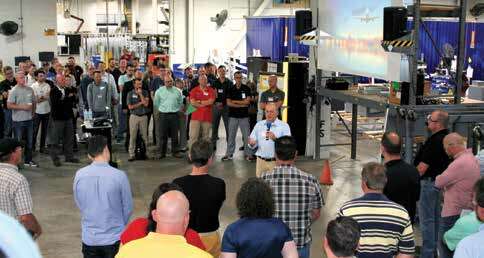 With this culture established, I have all the confidence in the world that Cambridge will gobble up the tools of continuous improvement and like the Barry-Wehmiller facility in Phillips, lean will be sustainable for years to come. I personally believe that when you place the tools of lean in the hands of a trained and engaged employee, that they will produce results far beyond that of those who begin with the tools only. The impact is overwhelmingly positive in both the lives of the employees and in the performance results of the company. George Saiz is President and CEO of Association for Manufacturing Excellence. 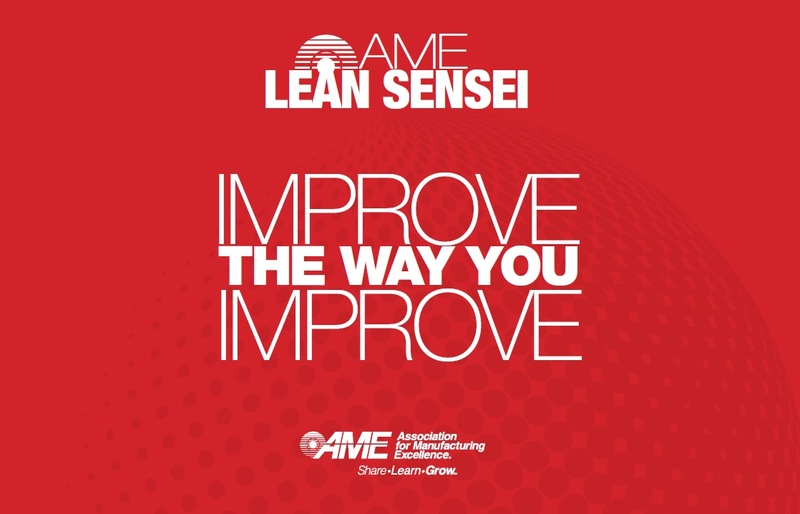 Learn more about developing your people and lean tools at AME San Diego 2018 on October 29 – November 1.